In May last year, a two-year-old girl was shot dead by her five-year-old brother with a small rifle made specifically for children. 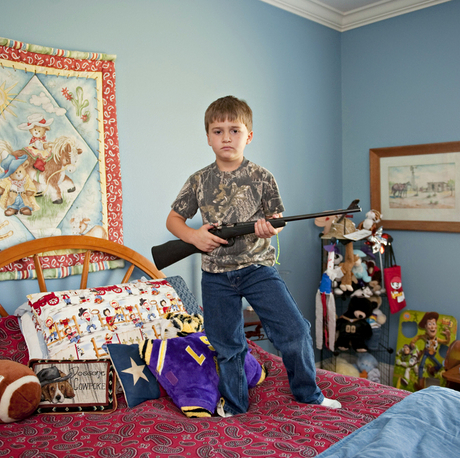 The accidental shooting happened in Cumberland County, Kentucky, when the boy was playing with a gun purchased from a company in Pennsylvania calledKeystone Sporting Arms, which, in 2008, produced around 80,000 rifles for children. The guns, which sell under the model names Cricket andChipmunk, were originally advertised on a “Kid’s Corner” on the company’s website (it has since been removed), which showed children firing them at rifle ranges and on hunting trips. The guns are produced in bright blue, pink and rainbow colours and marketed like toys, under the tag line “My First Rifle”. 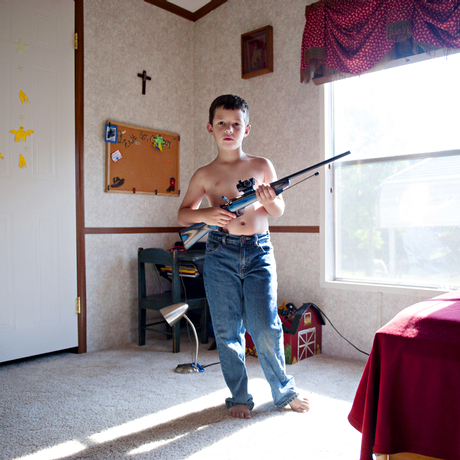 Kesteleyn’s series, My Little Rifle, consists of only 15 portraits, but they provide a powerful and disturbing glimpse of a much bigger gun culture. 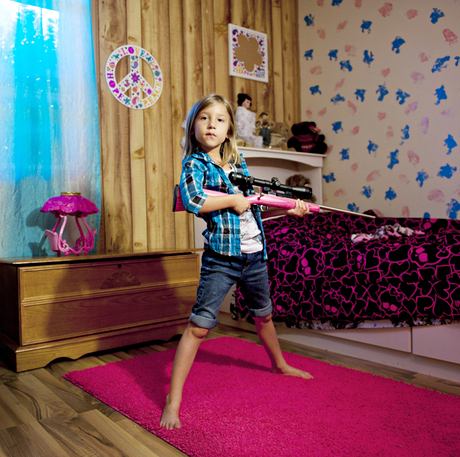 Last year, the series was chosen for the World Press Photo’s prestigious Joop Swart Masterclass.